Youth Empowerment and Support Services is looking for corporate partners for our upcoming Job Fair! As part of our Building Employable Skills Together (BEST) program, we’re helping youth ages 15-24 build skills to identify career goals, access jobspecific training, and obtain job shadow opportunities and/or employment. Book your spot at the YESS Job Fair to meet our youth and talk to them about their futures! 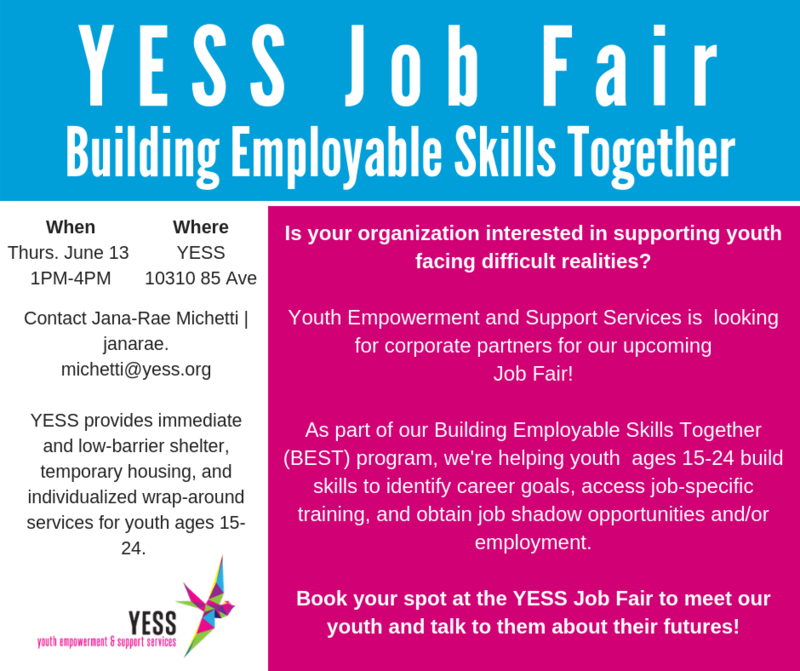 Contact Jana-Rae Michetti, Employment Coordinator, at janarae.michetti@yess.org.